This release of Red Hat Software Collections includes Varnish 5.0. Varnish Cache is a web application accelerator also known as a caching HTTP reverse proxy. It is installed in front of a web server that speaks HTTP and is configured to cache the contents. Varnish has very high performance and a highly extensible built-in configuration language. It typically speeds up delivery with a factor of 300 – 1000x. Varnish only caches HTTP, it does not support other web protocols. Varnish 5.0 is for RHEL7 Only. This release of Red Hat Software Collections adds a new HAProxy collection. The latest stable upstream release is 1.8, which contains many new features that are of interest to customers and required by other Red Hat products (eg. OpenStack, OpenShift). Since a rebase in RHEL7 would break compatibility, the latest stable haproxy is added to RHSCL. HAProxy is free, open source software that provides a high availability load balancer and proxy server for TCP and HTTP-based applications that spread requests across multiple servers. HAProxy is available for use with RHEL7 and x86_64 architecture only. Currently, haproxy-1.5 is available in RHEL7. 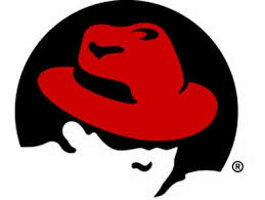 This version of Red Hat Software Collections updates Apache HTTP Server version 2.4 to include mod_auth_mellon. Apache HTTP is a project of the Apache Software Foundation and is the number one HTTP server on the internet. The mod_auth_mellon package is currently available in RHEL7 for use with the base version of httpd. This update includes mod_auth_mellon in the RHSCL httpd24 collection. Using Apache 2.4, web developers can achieve the performance of other “fast” web servers without having to switch to newer web servers such as Nginx. Many enterprises make use of SAML for authentication and also make use of Python. The supported method for using Python 3 in RHEL is via SCL. SCL Python uses SCL httpd24 for wsgi. SCL httpd24 now has mod_auth_mellon. Now users of the RHSCL http24 collection can move to Django 2.x, which only supports Python 3. Many applications are dropping support for Django 1.x, now that 2.x is stable and maturing. Apache httpd24 is available for both RHEL 6 and 7; mod_auth_mellon is for RHEL7 only.